We’ve all heard the rule before—you know, the “no wearing white after Labor Day” decree. Our stance on it? Wearing white in any season is perfectly appropriate, especially if you already have a great pair of white jeans from summer. Don’t let the change in temps hold you back from rocking your favorite staples, because all it takes is a few strategic choices to create a number of looks that work for any type of weather. If you’re still not convinced, keep scrolling for three different looks that’ll take you right into fall. For days where the weather still feels very much like summer, embrace the day with a fuss-free outfit. 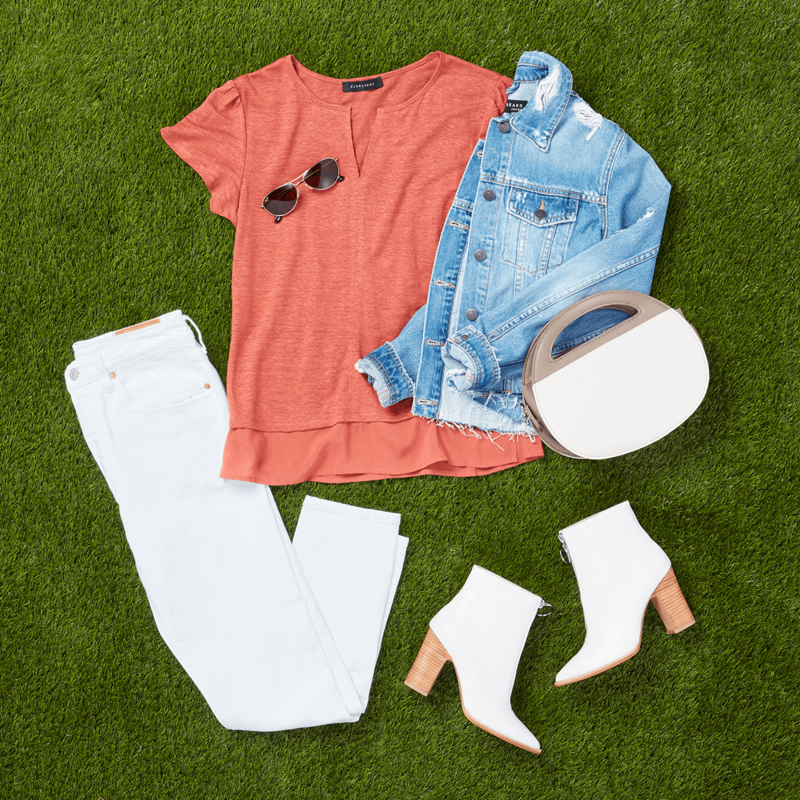 Opt for a casual tee in a muted color, like heather grey, and swap out your sandals for statement-making sneakers. The result is an easy weekend look you can wear with white denim in those first few weeks of fall. A denim jacket is the perfect piece to throw on for transitional weather because of its versatility—and shades of blue look great with white jeans. Try this look with a cropped wide-leg pair and heeled booties. To give the double denim combo a touch of warmth, we’ve styled it with a top in a fall hue. Just like the color white, pastels shouldn’t be reserved strictly for summer. 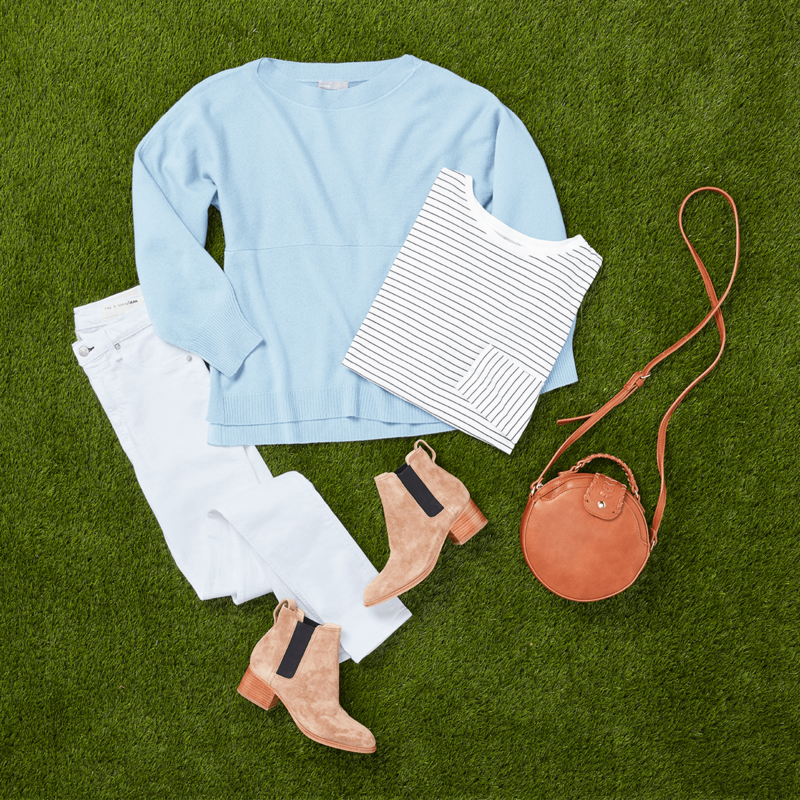 To make this palette work with a pair of white skinny jeans, we’ve layered a lightweight sweater over a slightly longer, patterned top to create dimension. 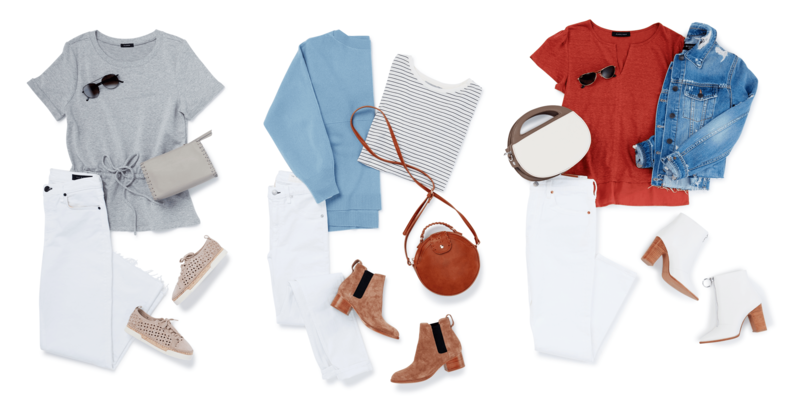 To balance the look, we recommend neutral shoes and accessories that go with the changing season.